We work with leading technology, service and distribution partners to ensure the delivery of efficient, secure and reliable solutions, and to make a wide range of purchasing options available to meet your budget and preferred method of operation. IntelliGuard is a contracted supplier of Vizient, the largest member-driven health care performance improvement company in the country. The contract arrangement makes the Intelliguard® Kit and Tray Management System™, as part of the Intelliguard Enterprise Solutions, available at enhanced pricing and terms to Vizient’s membership, which includes integrated health delivery networks, academic medical centers, pediatric hospitals, community hospitals, and ambulatory surgery centers. IntelliGuard is an Approved Supplier authorized to provide the IntelliGuard® Kit and Tray Management System RFID Smart Tags to Cardinal Health. Hospital pharmacies may purchase IntelliGuard® RFID Smart Tags through their standard product/ordering processes with Cardinal Health. IntelliGuard is an Approved Supplier authorized to provide The IntelliGuard® Kit and Tray Management System RFID Smart Tags to McKesson Corporation. Hospital pharmacies may purchase IntelliGuard® RFID Smart Tags through their standard product/ordering processes with McKesson.
. In a simple to navigate cloud-based solution, Prodigy Vision allows hospitals and hospital groups to manage inventory par levels and set up automated restocking on any product. Every time the Smart Cabinet Inventory System™ door is opened and closed inventory automatically updates, and product restocks are sent for the dispensed product. Prodigy is the only RFID consignment provider that allows hospital groups to utilize both RFID enabled consignment solutions with non-RFID consignment locations and the ability to transfer product between them without being invoiced. IntelliGuard® Intelligent Inventory Solutions™ provides the only Radio Frequency Identification (RFID) automated inventory management solution that enables enterprise-wide chain of custody across the healthcare continuum. Frontline Medical Services is a CVE certified Service-Disabled Veteran-Owned Small Business (SDVOSB). A national wholesale distributor of Durable Medical Equipment (DME), Frontline provides high-quality prosthetic, orthotic, orthopedic, sports medicine, laboratory, hospital and surgical products to the Veterans Administration and active duty military. IntelliGuard partners with QIAGEN to support the QIAGEN QIAstock Inventory Program. QIAGEN manufactures more than 500 core products and serves more than 500,000 customers around the globe with solutions for molecular testing. Their Sample to Insight® solutions serve four major customer categories. The QIAstock Inventory Program, powered by IntelliGuard, will initially focus on Academia and Pharma. The QIAstock Inventory Program provides an efficient and economical way to make QIAGEN products available at customer sites when and where researchers need them. QIAGEN representatives work with customers to decide which QIAGEN products will be available in each QIAstock location. These products are then provided by QIAGEN as an onsite supply stored in IntelliGuard® RFID-enabled Smart Cabinets™ for immediate access and use by researchers. FFF’s VERIFIED Inventory Program™ utilizes IntelliGuard® Controlled Temperature Cabinets to monitor temperature and provide real-time inventory visibility to critical-care products. Available sizes are 2.3 Cu.Ft, 5.2 Cu.Ft., 12 Cu.Ft. and 26 Cu. Ft. Click to learn more about the IntelliGuard® Controlled Temperature Cabinets. For more than 25 years, Storemed has focused on best-of-breed solutions for supply and medication management solutions. Healthmark has been manufacturing and distributing medical and pharmacy products in the Canadian healthcare market for over two decades. In this time, they have built their reputation on a comprehensive line of products. Healthmark is the exclusive distributor of IntelliGuard® Intelligent Inventory Solutions for the Canadian market. RAIN RFID is a global alliance promoting the universal adoption of UHF RFID technology in a way similar to other wireless technology organizations including NFC Forum, Wi-Fi Alliance and Bluetooth SIG. RAIN uses the GS1 UHF Gen2 protocol which ISO/IEC has standardized as 18000-63. The word RAIN—an acronym derived from Radio Frequency Identification—is intended as a nod to the link between UHF RFID and the cloud, where RFID-based data can be stored, managed and shared via the Internet. A RAIN RFID solution uses a reader to read and write a tagged item, manage the data and tax action. RAIN RFID technology provides an automated and reliable data capture system that helps enable hundreds of healthcare applications to improve patient safety, manage surgical instruments, support staff and patient workflow, automate replenishment and billing, authenticate quality and sterilization processes, manage medical equipment location and automate supply chain management. 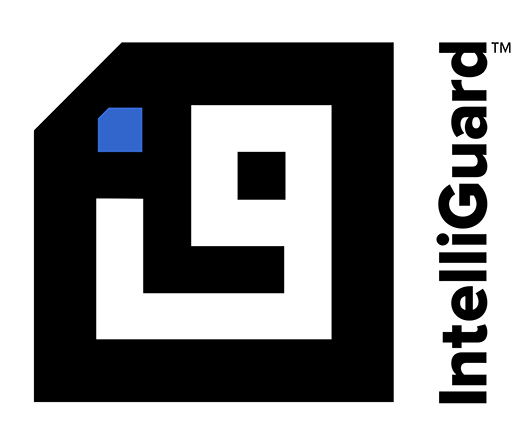 IntelliGuard® is a charter member of RAIN RFID global alliance along with Google, Intel, Amazon and Impinj, promoting the universal adoption of UHF RFID technology. Established in 2009, eAgile sets the industry standard in IoT and RFID solutions and is a world-class provider and innovator of security print, brand protection and intelligent packaging solutions. FFF’s VERIFIED Inventory Program™ utilizes IntelliGuard® Controlled Temperature Cabinets to monitor temperature and provide real-time inventory visibility to critical-care products.